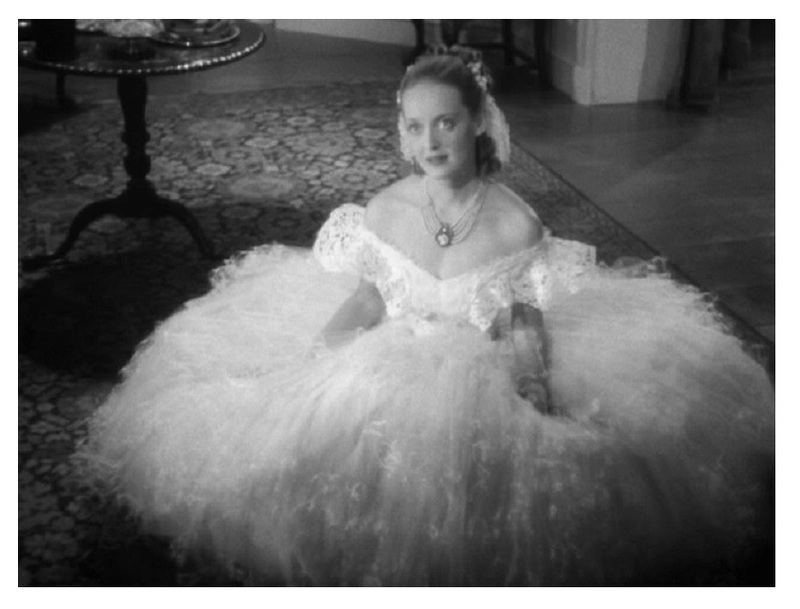 In 1852 New Orleans, a high-strong Southern belle, Julie Marsden (Bette Davis), gets her kicks from going against society’s expectations and that makes her beau, Preston Dillard (Henry Fonda, The Grapes of Wrath), very angry. Preston eventually breaks off the engagement, but Julie is determined to win him back — easier said than done. Jezebel has all the trademarks of a great movie — everything comes together. Ernest Haller’s (Rebel Without a Cause) gorgeous cinematography, Max Steiner’s (Now,Voyager) lovely music score, William Wyler’s (Mrs. Miniver) meticulous direction, the story, the acting, etc. — all elements come together to create a rewarding cinematic experience. 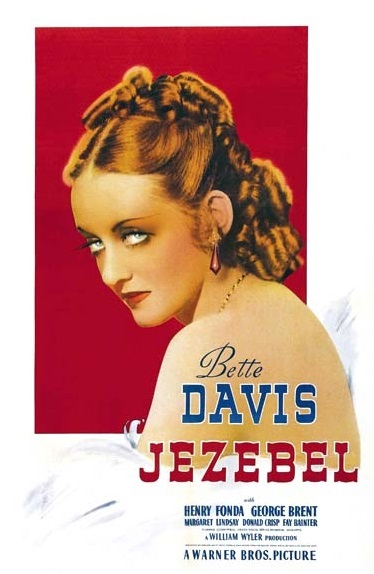 People noted at the time that Warners’ Jezebel was Bette Davis’s consolation prize for not getting the Scarlett O’Hara role in David O. Selznick’s Gone with the Wind. Even Selznick accused Warners of trying to sabotage his pet project. 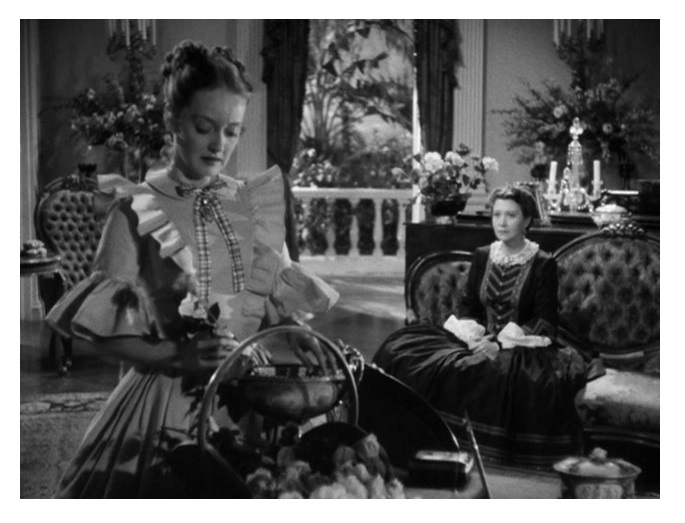 While there is some truth in all that (Warner did want to cash in on the GWTW fever that was sweeping the nation), saying that Jezebel is a poor man’s GWTW is grossly unfair. Plot similarities aside, the film stands on its own merits — it’s drama of the highest order. The screenplay — credited to Clements Ripley, Abem Finkel, and John Huston — is particularly well-constructed. The melodrama and sociopolitical issues interact in fascinatingly complex ways throughout the whole movie. Jezebel does a superb job exploring misogyny in a patriarchal social system. Davis’s Julie is, on the surface, a bull-headed woman who goes too far with her manipulations. But under closer examination, she is just trying to nip at the heels of an unjust patriarchal society. Above all, Jezebel captures a rare cosmic event: the creation of a superstar. You can literally see Davis being transformed from talented film actor to mega-movie-star. After much struggle and suffering, Davis finally got what she was craving for: a great role in a Class-A movie. Davis always gave director Wyler all the credit for her improvement as an artist, and I agree with her. He’s clearly the very first director that managed to take Davis’s ‘nuclear’ energy, control it, and channel it into productive work. I was also impressed with Fay Bainter’s (The Secret Life of Walter Mitty and The Children’s Hour) performance as Aunt Belle. She’s the conscience of the movie. Like Davis, she nabbed an Oscar for her stupendous work. The huge cast includes George Brent (The Great Lie) as Buck Cantrell, Donald Crisp (Juarez) as Dr. Livingstone, Spring Byington (You Can’t Take It with You) as Mrs. Kendrick, Henry O’Neill (Marked Woman) as General Theopholus Bogardus, and Eddie Anderson (Cabin in the Sky) as Gros Bat. Warners’ Jezebel is an intelligent, interesting, and utterly entertaining movie. It also contains one of Bette Davis’s best performances. 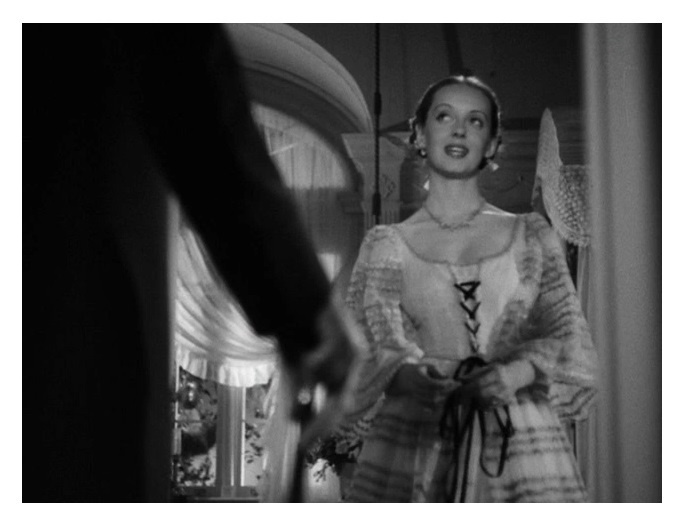 Although a few notches below Gone with the Wind, Jezebel is a near-perfect movie — a must see for all classic movie lovers! B&W, 104 minutes, Not Rated.